I recently saw the filmed version of Love Never Dies, Andrew Lloyd Webber’s sequel to The Phantom of the Opera. It was showing in a local theater, and two friends and I went. It was everything I had expected–it was terrible, and I had a wonderful time. The short, quick review is that it is an awful, awful play, flawed on so many levels I can’t count them, funny when it’s not supposed to be, entertaining in much the way that Plan 9 from Outer Space is entertaining. The long review is going to be complicated and slightly incoherent, because there are so many flaws on so many levels at so many points, it’s hard to get structure into the review. First, a few notes on biases: I did not come into this with an open mind. I expected to hate it. But I also didn’t come into it with an uneducated mind–I had read a lot about Love Never Dies and listened to about half of the soundtrack. Frankly, I had put plenty of effort into hating it, and I think that’s why I wanted to see it. I’d built up a vast amount of morbid curiosity. Another bias: I’ve been invested in my own idea for the last six years about how the Phantom’s life ought to turn out in a sequel (the brief version: he stays at the Opera House, becomes a renowned but never-seen composer, and marries Meg Giry). Some of my reaction may be based on “but it’s not how I want it to turn out.” But that’s not all the basis for my reaction. Love Never Dies really is terrible–on so many levels. The story is set on Coney Island (already we have a problem), ten years after Phantom. Actually, it must be ten years and nine months, but more on that later. The Phantom, now going by the name Mr. Y (why? not a clue, especially when he has a perfectly nice name like Erik) is running a freak show on Coney Island and writing really bad sideshow performances for Meg Giry, while he mopes about Christine. Christine turns up in New York with Raoul and her son Gustave in tow, here to sing for Oscar Hammerstein in order to pay off Raoul’s gambling debts. The Phantom quickly finds her, and really, really, really wants her to sing for him on Coney Island. He offers money, plays on the sentimental past, and if that doesn’t work, threatens to kidnap her son–at least until he has a sudden GASP moment when he realizes how old the kid is. That takes you about halfway through the play, and so many problems should already be apparent. About the kid. Let’s start there. Christine and Erik have a duet about one magical moonless night they spent together. When was this in the first musical, you ask? It wasn’t. It was afterwards, I think (more on that in a moment). They spent the night, and then the Phantom left, convinced he was unworthy, unaware that Christine had fallen in love with him and also become pregnant. Result: Christine and Erik’s relationship and their characters are completely changed based on a scene that wasn’t in the last play. This also apparently torpedoed Christine and Raoul’s relationship (even though he doesn’t know about the moonless night), and in part sent him off on a spiral of drinking and gambling, totally changing his character too. Other problems here (because there are more)–that moonless night annoys me so much, because it, like Angel of the Opera, reduces the Phantom’s problems and complications to just being unattractive. As long as she can’t see him, it’s all okay! Also, it’s worth noting that almost every previous interaction the Phantom and Christine had were in rooms without windows, and many of the key moments were underground. So…why does it even matter whether there’s a moon? As to when this happened, Christine apparently believed, after the moonless night, that the Phantom was dead. Except it’s also implied that he was “killed” by the mob and/or fire at the end of the last play. So she knew he wasn’t dead, because she went and found him (how? Not a clue) so…when did this happen? The lyrics in the original make it clear it wasn’t prior to the last scene of the first musical, and the lyrics in this one suggest it was the night before her wedding (well done on that one, Christine), but she also thought he was dead later on, so how does that make sense…? I don’t know. And about that fire–I can’t explain how the Opera House burned, when it’s still there. So much for my many issues re: a single scene. Let’s talk about Coney Island next. There are all kinds of problems with the Phantom running a freak show. I can almost, not quite but almost, wrap my head around the idea of him gathering together everyone rejected by society, to create a place where everyone who’s different can be celebrated and respected. That may be what Webber was going for. It doesn’t come off that way, at least not to me. It came off as a cheap, Coney Island sideshow, where people parade through to look at the freaks. It’s well-established in the Phantom’s history that he was poorly treated in a freak show as a child, so the idea that he’d create a place like this is disturbing–not impossible, perhaps, but disturbing. Equally disturbing is the music he’s writing for the shows. Poor Meg Giry has gone from ballet at the Paris Opera House to being “The Ooh-la-la Girl” at Phantasma. It’s tasteless (there’s even a strip tease–yes, really) and the music is…well, I refuse to accept that the Phantom is capable of writing anything as bad as “Bathing Beauties,” and I’m surprised Webber was capable of it. I should tell you if I liked anything, shouldn’t I? I do try to be fair-minded and even-handed in my reviews. So let’s see… There are occasional well-told moments. There was a nice bit when Raoul very defiantly declares he’s not afraid of the Phantom. He turns around, sees the Phantom standing there, and jumps back a foot. I enjoyed that. Many of the melodies (excepting “Bathing Beauties,” of course) were quite lovely. I wish I could say the same thing for the lyrics, but to Webber’s credit he wrote some beautiful melodies. They do have that Webber-trick of getting stuck in my head (which is disconcerting when they come with stupid words). I genuinely liked “Old Friends” and “Devil Take the Hindmost.” They were unexpectedly good songs, music and lyrics and even storytelling. I’m also getting strangely attached to “Til I Hear You Sing,” the opening song. In some ways it sums up many of the ups and downs of this musical. It’s Erik bemoaning how empty his life has been without Christine in it. It’s a beautiful song, stirring, emotional, wonderfully sung–if you take it out of context. In context, I can’t ever get over the conviction that Christine is just not worth all this angst, that their relationship was totally unhealthy from the beginning, and he needs to pull himself together and move on because he could do so much better than her. But that’s a problem throughout the entire play. In context, I also just can’t take seriously the line, “Seasons fly, and still you don’t walk through the door.” Um…because he left her, and went across an ocean to New York, and she thinks he’s dead. Under the circumstances, she’s not going to walk through the door. I will say it was good singing. The actors had very little to work with, but they were good singers. The acting tended to be over-dramatic, lots of arm-waving and gasping realizations of fairly obvious things. And Christine manages to faint once. Any complete debacles I’ve missed…oh, plenty of them. But I have covered the character assassination that happens to pretty much everyone and the total mess of the plot (if I haven’t made that clear, let’s just reiterate that the Phantom of the Opera moved to Coney Island, it all centers on the love story of two people who should not be together and weren’t together in the last play, and a major plot point is a kid whose conception doesn’t make any sense timeline-wise or character-wise). The title song left me completely unmoved, and I can’t even tell how it was supposed to be moving the characters. Christine spends half of the song looking at Raoul, and then kisses the Phantom afterwards. So you’re in love with…who? I do have to comment on the red rose. Christine remarks nostalgically about how Raoul used to give her a single red rose. Phantom fans, please, correct me if I’m crazy here–but the Phantom gave her red roses! It’s THE symbol of their love (such as it was). It’s on the posters next to the mask! I KNOW there’s a moment in the movie when Madame Giry hands Christine a single red rose with the comment, “He is pleased,” and I really, really don’t think she meant Raoul. How a Webber production can get that detail so fantastically wrong…I just don’t even know. As to the ending, well, it’s all kinds of special. I hesitate to give spoilers, but I will say that it features a character who gets shot, and then sings before dying, and never bleeds. I know there are ways to make people bleed on stage, and this mess needed all the help it could get to be convincing. Also–the sentence “give me the gun” should never, ever be sung, especially as an isolated line of dialogue. There’s a repeated line Christine keeps singing about “giving what you can give and taking what you deserve.” Erik, Raoul and especially poor Meg did not deserve what Webber did to them in this play. I don’t even like Christine, but she didn’t deserve this mess either. Neither did Webber’s fans. Oddly, I did really enjoy watching it. I sincerely hope my friends and I weren’t too annoying to the (few) people in the theater with us, because we laughed a lot (not when Webber wanted us to, I’m sure). There’s a theory that even if it’s bad, if you enjoy the experience then it does have value. Maybe so, but trust me–this was BAD. The whole productions seem to be rather goofy (the whole thing looks like a Tim Burton fever dream staged by Cirque de Soleil), but the Phantom screaming “TEEEEEN YEEEAAAARRRRSS OOOOOLLLLDDD” has to be the most ridiculous, cringe-worthy thing I have ever seen in a musical. I’m another one who got here by Googling “problems Love Never Dies.” It’s been just over 4 years since you wrote this, so maybe your opinion has changed. I mostly agree with you here, though (except about not liking Christine). I watched the show online because I was mildly curious (I loved Phantom as a teen) and because it was free through a service via my library. On that first viewing, the sheer stupidity of the story eclipsed even the music for me. I’m glad (or sorry?) to say that the music has grown on me since then, but…ughh, that story. Despite all its problems, I do think there is hope for Love Never Dies, albeit after extensive rewrites. Christine CANNOT condition Gustave to accept an abusive relationship (she sings a whole dang song about it). The Phantom CANNOT threaten Gustave’s life in order to manipulate Christine (or his redemption from the first musical is nullified). And Raoul MUST be rewritten as anything other than a bitter, abusive lush. A huge task for any lyricist, but I will stubbornly insist that it’s not an impossible one. It’d just be such a shame to lose out on the music because of poor writing choices. Those can be fixed, and I think the music is worth the effort. Thank you so much for this. I love the original Phantom, and the thing I never see mentioned anywhere that really irked me about this show was how out of character everyone was. It’s like Webber either wanted to re-write history or didn’t understand his own story adaptation. Excellent review it was right on. I hated it and the constant contradictions where unreal. It’s true about the rose being left by the phantom. My favorite error was they couldn’t count 10 years and 9 months WOW. I don’t like this musical. Sure, I like the idea of Erik and Christine being together, but this musical doesn’t succeed in its delivery of that. The plot is bad, characters that we previously liked (minus in Raoul’s case…poor guy) are turned into jerks, and some of the songs are so awful, you can’t help wanting to throw up. I actually quite liked LND…its alright as long as you don’t compare it to the original. There is no play that can live up to the elegance and mystery of Phantom, but if you take into context that Erik and the Giry’s had to start from scratch after he escaped the mob, it could be somewhat believable that he would open a freakshow. And as for the crappy numbers he wrote for Meg, he says in the opening song that he cant give his melodies a voice without Christine. So he’s writing crappy music now because she’s gone. And for Christine cheating on Raoul on the night before their wedding, I think I would believe that too because even at the end of Phantom she practically forced herself to leave with Raoul. In LND when Christine is talking to her son she says “Love you misunderstand is love that you’ll regret.” This play is believable to me because I have always believed that Christine truly loved Erik but was afraid of his level of commitment. She was, what, like 16 or 17 in the original play? Christine left with Raoul because he was “safe,” he was the childhood sweetheart. Yes, some of the songs have really stupid words but thats because Webber picked some bad writers to write the libretto. The music itself is beautiful. I do agree that Ben Lewis WAY over-exaggerated the Phantoms character…he truly didnt understand the character at all…but I believe that the actors that portrayed Raoul and Christine did a fantastic job. Meg Giry was also quite believable too. I mean really, imagine what you would do if you idolized this man and wanted nothing but his affection and approval And are once again outshone by the same person who always outshines you in his eyes? She went a little nuts. So i thought the story was very believable when you think about what must have happened between Phantom and LND to change all these characters into what they eventually became. Im not saying its perfect, and definitely not as good as the original, but I thought very believable and a pretty good story. Thanks for your thoughtful comment re: Love Never Dies! I’m afraid you’re not going to convince me on its value, but I appreciate hearing your perspective. My fundamental problem with the play may actually be something you pointed to at the end of your comment: “when you think about what must have happened between Phantom and LND to change all these characters into what they eventually became.” I think too much happened, with the result that the characters are radically changed…based on events that were never in either play. The idea that Christine really loved the Phantom is a popular one, and while it’s not my preferred interpretation, I’m willing to entertain it. However, at the end of Webber’s play, Christine leaves with Raoul—curtain closes, cast takes their bows, the end. The idea that she apparently went back is never even hinted, and yet it becomes the impetus for pretty much everything in LND. As a result, LND feels less like a sequel to Phantom and more like a sequel to some non-existent play where certain events happened. I’d like a sequel to actually be based on its original, not on paradigm-shifting post-play events! On the other hand, I agree with you that the instrumental music (most of it) was beautiful, and I actually rather enjoy Meg going crazy at the end. I found it completely plausible, though the handling of the moment was a bit over-dramatic. And I suppose I can accept the premise that the Phantom was writing terrible music because he lost Christine…I just struggle to believe that she was really that important! EEveryone has their own views(: I’m just glad this isn’t a hate site where everyone can say what they mean and not get heat for it. And after watching LND a couple hundred Times Id like to add that I think Ben Lewis really did understand the Phantom very well. And also that I absolutely love his voice as Erik. Very deep, very dark, and I thought it just fit. That is all. After watching on YouTube, I googled “LND ist horrible” and found your funny and to the point review. I couldn’t agree more! (I know your post is already a year old but see how long I made myself not watch LND) I hated “Bathing Beauty” and the whole Coney Island Concept which was sooo far from the distringuished elegance which the Phantom created in his original opera house (which could not have burned downed completely anyways, since at the beginning of the original Phantom, they auction a shelfload of things off, e.g. the chandelier and the music box which Raoul buys). In the whole musical I so missed this elegance and refinement in the score, music and setting, even though I liked single songs like “Till I hear you sing” (except the lyrics ARE bad). The whole Coney Island thing was just wrong, like going from 3 Star Michelin to a Burger Joint. Why would the Phantom do that?! After “Phantom of the Opera” you kind of lingered in the scenery and the “feel” of the Opera house, after “LND” I was just relived it was over. Even the supposed climax of the show “Live never dies” in its super cheezy peacock-setting was just for laughs, surely? Oh well. And all the lovely characters like Meg and Raoul turning into super idiots… such a shame. But then again, even pristine Christine got a flaw, obviously having lied to her husband for 10 years labout their son. Which I think was also unfair to Raoul who I think deserves to be remembered as the “knight in white armor”. What also disturbed me was the actor of the Phantom (while singing nicely) with his über-wide eyes all the time and the stupid gasping or the “touched” expression at the end when Gustave lifts his mask (and again: what a super cheezy, forseeable and stupid ending compared to a once dramatic and touching ending). In general I think the Phantom should be played by a somewhat older and more refinded character with some “dark intensity” beneath and not dramatic hands and eyes all the times. Was anyone else totally reminded of Marshall from How I Met Your Mother?? And yes, the rose is a signet from the Phantom and not Raoul – you are right about the reference in Christine’s wardrobe in the original after “Think of Me” (and yes, Mme Giry referred to the Phantom, she knew back than that he was her teacher and told the new opera directors so by way of introducing Christine to take over the main part). I think in the movie, at least in the original book, it says that as Raoul visits Christines grave he always finds a single red rose lying there and he knows its from the Phantom. The lack of elegance–YES. Such a loss compared to the original musical. 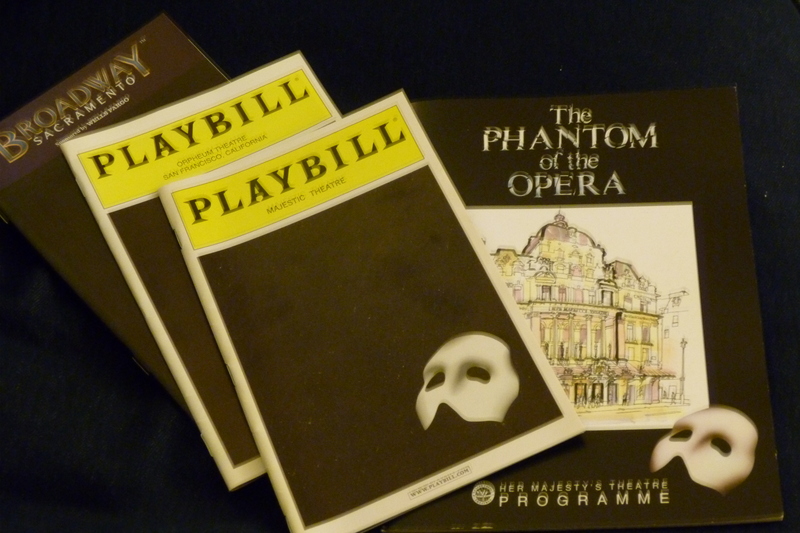 If the story was about how the Phantom had descended to the depths of artistic taste after Christine left him (excuse me–he left HER, right), then all right, that could work…but the play doesn’t seem to notice how VERY FAR he’s fallen. Great point about the auction sequence–even separating Webber’s internal world from reality (where the Opera House is very much still standing, thank you), it couldn’t possibly have burned down. The whole movie was so over-the-top cheesy far too often, and the Phantom really, really should have been played by an older actor. I’m generally in favor of casting the Phantom younger, but this is a sequel. Ten years went by. Why are all the characters still so young? But after all, the whole thing was a mess, so why expect any logic at all? You know what bothered me so much? I mean, I love Christine (hence the name), but she… Fainted over the Phantom? No, I believe a beating was in order, not a faint. I mean, in POTO, she fainted, but it’s a bit more understandable, and the fainting was realistic. Only, she stayed out too long. Once you get horizontal, you’re supposed to get right back up. And in LND, Christine fainted really fakely. I mean, she put her hands out, and she put her hand on her forehead, and wrapped her hands around the Phantom, BUT, she only stayed out for a bit, which I liked. Sorry for the rant, I freak over the tiniest things. I’ve listened to the soundtrack, and I feel much the same way as you — terrible story, frequently terrible lyrics, but some very pretty tunes. “Beneath a Moonless Sky” is especially a shame, because it has such a beautiful melody, and yet such awful lyrics! Way to waste your talents, Webber! I always feel a bit sad when someone who I know is better comes out with something awful. Why are they wasting their time and talent when they could be doing something better? Thing is, Webber loves this show. Every interview I’ve seen or read… he just loves it. Says it’s his best ever. I really can’t tell if he’s being genuine or stubborn. I don’t know what Webber was thinking when he penned this pile of muck, but he should be ashamed of himself. SIGH!!! I look forward to being able to forget Love Never Dies exists. Ooooh. I was tempted to go see this, and maybe I would have if I’d had friends to see it with (and snicker along with), but I decided to save the money and just watch it when it comes out on DVD. Oh, but I did find this one while looking for it. Bwahaha. You’re probably smart to wait for the DVD. I just couldn’t resist my curiosity! Apparently the staging was very different in Australia (the filmed one) than in London, because even Webber said that in London it “really didn’t work.” That was in a pre-show interview and so amused me. The filming was well-done. I’ll give them that. The last part…maybe could have been a good climax if the relationships and the characters had been developed to the right point for it to make sense…maybe…sort of… I’m trying here, really, but I’m just not sure that would have been good under any circumstances. And the “give me the gun” line–so awful. He actually sings it more than once. If you find it on YouTube, Karimloo almost makes it work…but it really can’t be saved, and it was even worse in Australia. I love comic spoofs. That was great! Yeah, I would tend to agree with you. I just thought it was interesting to see his opinion and approach to viewing it, considering he’s got way more knowledge and experience in the subject than I ever will. Your title for this post says it all. Maybe, after a long and very illustrious career, Webber is just running out of ideas but can’t bring himself to quit. I’d like to believe that Webber is just having a rough patch. As far as I know, his Wizard of Oz was perfectly good. And I suppose everyone has an off-production when they design many. It’s just too bad that Webber’s mess is tied to one of his best too! It points up the contrast very painfully. I’ve got to wonder what’s going on with Andrew Lloyd Webber these days. Granted, I haven’t seen very many of his recent productions, but The Boys In the Photograph (his 2009 reworking of The Beautiful Game) is possibly the worst play I’ve ever seen, and this one sounds similar in scope. At least it was entertaining. TBitP mostly made me feel all stabby.